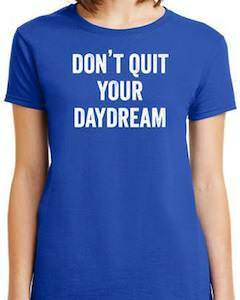 Now you can wear this Don’t Quit Your Daydream T-Shirt to motivate everyone that they should keep dreaming. You can get this daydream t-shirt in styles for men, women, and kids and all are made from 100% cotton and they come in many colors and in lots of sizes going all the way to an adult 5XL. On this t-shirt, it simply says “Don’t Quit Your Daydream” and that should keep you and other motivated to keep on going because we need big dreamers to make a big change to the world and that is how we make everything better. Just imagine that nobody dreamed about smartphones or space travel so motivate people to dream. Now you can feel radiant all thanks to this Radioactive Bike T-Shirt. This cool shirt is available in style for both men and women and it comes in many colors and in sizes Small – 6XL. 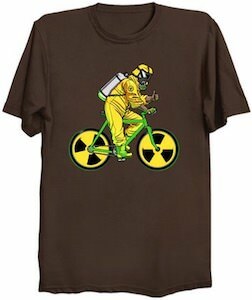 On the t-shirt, you can see a bicycle with wheels that look like the radioactive symbols and the person on the bike is wearing protective clothing and even has an oxygen tank on his back. 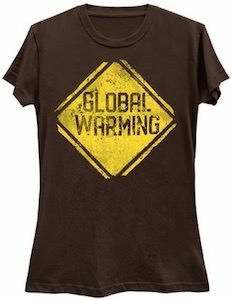 It is a cool shirt but also a bit sad as having to wear protective clothing to ride your bike around the neighborhood. Maybe a different shirt like this will look just amazing on you so come check it out. 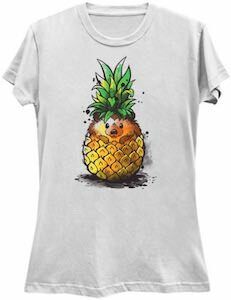 We all need something fun to wear and that is why there is this Pineapple Hedgehog T-Shirt. This shirt shows a pineapple but if you look closer there seems to be a hedgehog stuck inside the pineapple and that just looks fun to see the animal with the skin of pineapple and with the green top on top. You can get this funny shirt in styles for men, women, and kids and comes in many sizes and colors and it is even available as a hoodie and a baby bodysuit. I am sure that you will feel amazing when you wear this and people who see you wear it will smile as it just looks so much fun. 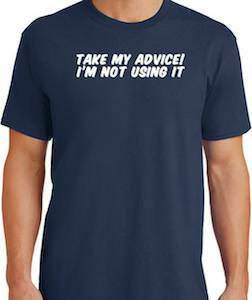 Now you can be wearing this Take My Advice I’m Not Using It T-Shirt. You can get this t-shirt in styles for men, women, and kids and they come in many colors and sizes going up to adults 5XL and all are made from 100% cotton. On this t-shirt, it says “Take My Advice I’m Not Using It” and that is a great way to offering your advice to the world around you. So if you don’t use advice people give you then this shirt is great as it shows the world that you are not taking advice and you do so in a funny way. Now you can wear this Dream Chaser T-Shirt. 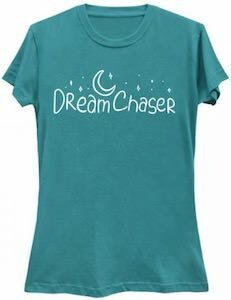 On this t-shirt, you can see stars and the moon and below them, it says “Dream Chaser”. You can get this t-shirt in styles for men, women, and kids and it comes in many colors and lots of sizes going all the way to an adult size 6XL. Wearing this t-shirt will tell people around you that you like to go back to sleep and that could make this t-shirt even a fun sleep shirt. Now there is a fun Dog Sitting Is My Hobby T-Shirt for kids or adults that love dogs. If you watch dogs for other people or would like to become one then wearing this t-shirt is a great way to go. 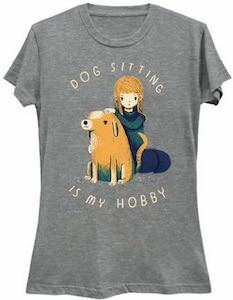 On this t-shirt, you can see a dog with a girl sitting next to it patting the dog. And then around the picture, it says “Dog Sitting Is My Hobby”. This fun shirt comes in styles for men, women, and kids and it is available in many colors and in sizes going all the way to an adults 6XL. 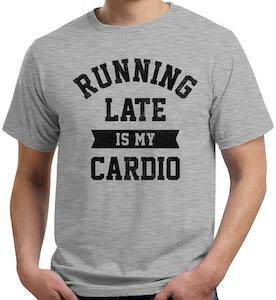 Now you can wear this Running Late Is My Cardio T-Shirt so that people understand why you are late. 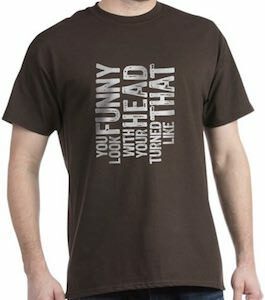 You can get this t-shirt in styles for men and women and it comes in a whole bunch of colors and in sizes Small – 3XL. On this t-shirt it says “Running Late Is My Cardio” and it makes for the perfect t-shirt for anyone that is running late a lot of time. 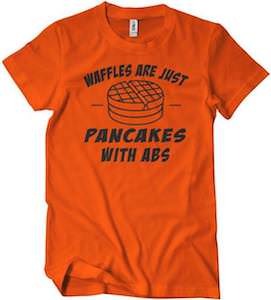 And by wearing this t-shirt you will make it clear to anyone that where just doing your workout as your workout is more important than being on time.